Experts in creating the custom shapes you need in the volumes demanded. For over 25 years, Paladin has been a trusted source of custom-run production solutions for customers in a wide range of industries with craftsmanship in mind. We can machine your complex shaped wood, composite wood, or plastic components, and apply a variety of decorative laminates to contoured substrates. 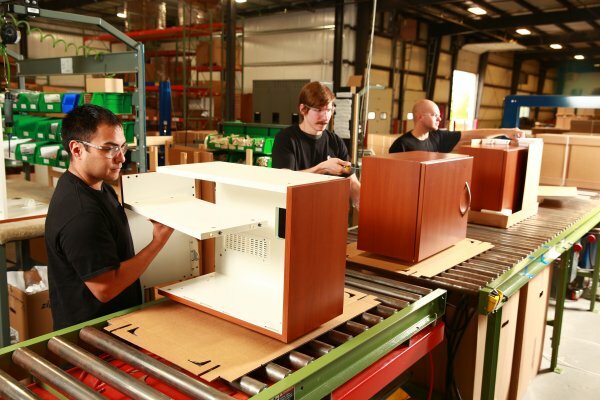 Come to Paladin for complete custom manufacturing, assembly, and packing solutions.